Coinciding with the recent UN Report on Climate Change that suggests major societal changes are necessary within 20 years to avoid catastrophe, All Clear Tree Service has published a selection of posts about the benefits of trees on the environment. Trees have long been known to absorb a lot of excess carbon from the air, along with other potential harmful gases such as carbon monoxide and sulfur dioxide. In fact, according to the USDA Forest Service, "Forests in the United States absorb and store about 750 million metric tons of carbon dioxide each year, an amount equivalent to 10% of the country’s CO2 emissions." In the post entitled "Modern Life Needs Trees After All", a recent study by Georgia Tech and the Texas Tree Foundation is addressed in which it was discovered that planting trees and other greenery can cool certain neighborhoods by up to 15 degrees - a marked difference compared to virtually any other cooling method available. "Certainly, shade is a major factor when people are considering planting a tree on their property," said Glen Markstrom of All Clear Tree Service. "What people don't often think of is that when a tree is planted, it is automatically absorbing carbon and cleaning the air around the property. This may not be super noticeable, but long term it can make a difference." All Clear Tree Service does offer tree planting services as part of their portfolio of tree care services, which also include emergency tree removal, tree trimming and stump removal. The post "Trees Suffer In Silence In The Summer", meanwhile, addresses the difficulties that trees experience during the summer when it comes to pests and disease. "Summer can be the most difficult time for trees in San Diego because of the intense heat and dryness that comes with Santa Ana winds," said Markstrom. "The best thing almost any property owner can do is to schedule a tree service consultation as spring begins to ensure that they have a plan to keep their trees thriving during the hottest months." Proper tree trimming can be key to the survival of any tree, as it can open up the canopy, improve airflow and prune away any branches that aren't productive overall. The post "Trees Make All The Difference" speaks to a new kind of potential plastic replacement called Chitin, which can be made from a combination of crab shells and tree fibers. Seeing as the majority of waste created by humans is typically plastic, this new material may be a game changer because it is not only easier to produce, but more easily recyclable. Another interesting idea noted in "Why Transplanting Trees Make Sense" is one where instead of fully removing trees in order to complete infrastructure projects, cities and municipalities are doing their best to transplant trees. Although transplanting trees is far from 100% successful, it does spotlight another way to be environmentally friendly and preserve trees from unnecessary destruction. "While tree transplanting isn't a hugely popular tree service because it is often cost-prohibitive and not effective, it does preserve some trees for the future," said Markstrom. "Like everything, scientists learn more about trees each year, which means transplanting may not be such a difficult task in the years to come." Although tree removal remains one of All Clear Tree Service's key and most important services, it is not always the first priority. In virtually all cases, All Clear Arborists will at least attempt to offer an alternative to removal, which can often include a heavier, more complex trimming. "Not all customers actually want tree removal, even though they may request it," said Markstrom. "Our Arborists do their best to explain all of the tree service options for a property owner, and if it is at all possible to save the tree, we do so." 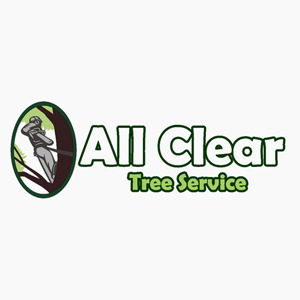 All Clear Tree Service is proud of its heritage as an environmentally friendly company, something that shows through in all of its services, including tree trimming and pruning, stump removal and of course emergency tree services. Save a tree today and the world will be thankful for it, Markstrom says. All Clear Tree Service offers tree removal, trimming, pruning and maintenance services in San Diego County. Full service Arborist offering free tree trimming and removal estimates.